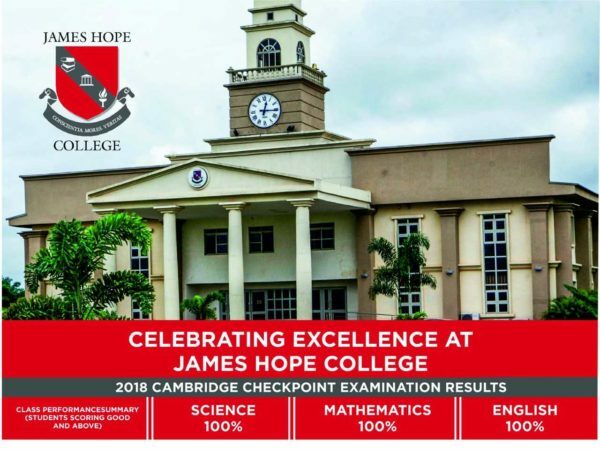 James Hope College (JHC) has recorded an exceptional 100% grade summary in Maths, Science, and English in the recently published 2018 Cambridge Checkpoint Examination results. 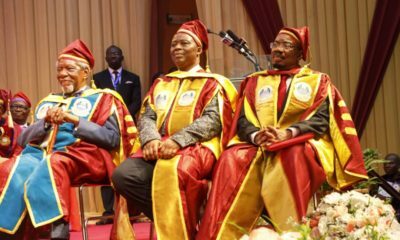 Of all 29 students that sat for the examinations, no candidate scored less than good with the highest scale pegged at 6.0. 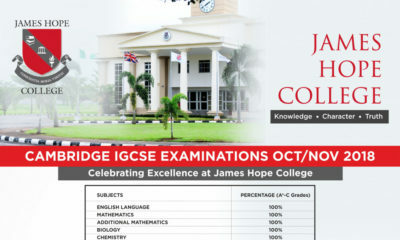 Speaking on the brilliant performance of the students, the Founder/Chairman of James Hope College, Jim Ovia applauded the students for such excellent performance; adding that it was a worthy reward for the efforts both the students and the teachers put in for the examinations and a testimonial to what the College stands for. It has been a great and rewarding session for JHC and we congratulate our high flyers and wish them greater successes and excellence in future feats.